Since a long-term care pharmacy is a type of closed door establishment, the facility’s design is unconcerned with catering to retail customers. That’s not to say there are no clients – it’s just that the ones you deal with aren't retail buyers. Rather, your clients are the doctors and other medical personnel responsible for the care of patients for whom you are providing prescriptions and other medications. Whether your long term care pharmacy is located within a hospital, a nursing home, a skilled nursing facility, a group home, an assisted living facility, or a hospice, your main mission in each case is to provide quality service to the patients and to ensure their meds are dispensed in a complete, accurate, and timely way. With the significant advancements that have been made in the incorporation of information technology, robotics, and the science of pharmacy workflow design, long term pharmacies are now able to perform their functions more quickly, more efficiently, and more accurately than ever before. Using your computers and IT programs facilitates a huge advantage in supporting daily activities when utilized to the fullest. Tasks that can be incorporated include electronic drug prescribing and dispensing as well as monitoring the safety and effectiveness of different medicines being used by patients. These improvements help increase patient safety as you’re able to provide a higher quality of care by lowering the risk for medication errors. 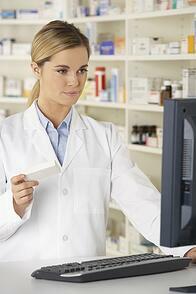 Robotics now play a large role in many pharmacy environments. Automated dispensing machines, for example, provide secure storage of medicines and important tracking of the use of narcotics and other controlled substances. They also alleviate the need for time-consuming manual documentation of supplies, over- or under-supplying in inventory as well as missing or wasted drugs. 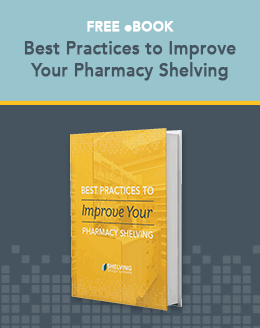 Pharmacy workflows are enhanced by the design of efficient workspaces being facilitated by proper placement of shelving, counters, desks, and other component fixtures. Regardless of the amount of space available in your pharmacy’s workspaces, it’s almost always possible to improve the efficiency of the operations by studying the repetitive movements of employees and figuring ways that physical steps can be saved and physical movements streamlined. Even if just five or ten seconds are saved, for example, in a prescription filling operation that occurs many times each day, these seconds add up to minutes and then hours over the long run. Time saved in performing regular and repetitive duties may be spent performing other important activities, such as interfacing with doctors or other healthcare providers regarding patient well-being, tolerance of medications, et cetera. Even the addition of small enhancements to your pharmacy design can produce great long-term benefits. Consider adding those you may be missing for long-lasting improvements.